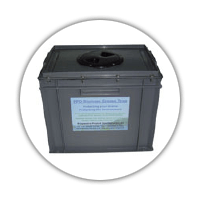 Domestic Kitchen Grease Traps Available to suit up to 10 meals and up to 20 meals per day. Commercial Kitchen Grease Traps To suit restaurants catering for 50 to 400 meals per day. Underground Biomass Grease TrapsFor installation below-ground, connected to the main drain line. Tanker-Emptied EN1825 Filtertraps Designed for infrequent emptying by suction tanker. For above-floor installation in domestic household kitchens! 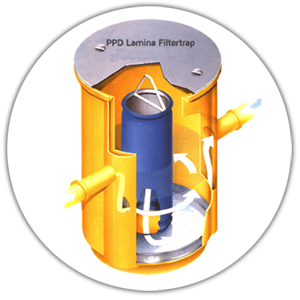 Our innovative Manually-Emptied Lamina Filtertrap model NS3LF. This unit has been tested to EN1825-1 and acheived better than 25 parts oil per million parts water in the samples taken. A high-capacity tray and mechanical winched hoist ensure simple, infrequent maintenance operations.